So, we’ve been in business 25 years with our small garage and we are sure that everyone will agree that it’s not just car technology that has come a long way. One of the almost certainly most significant of developments over the last two to three decades – besides of course the world wide web, which is also 25 this year! – will undoubtedly be the popping up of big players and mega stores. 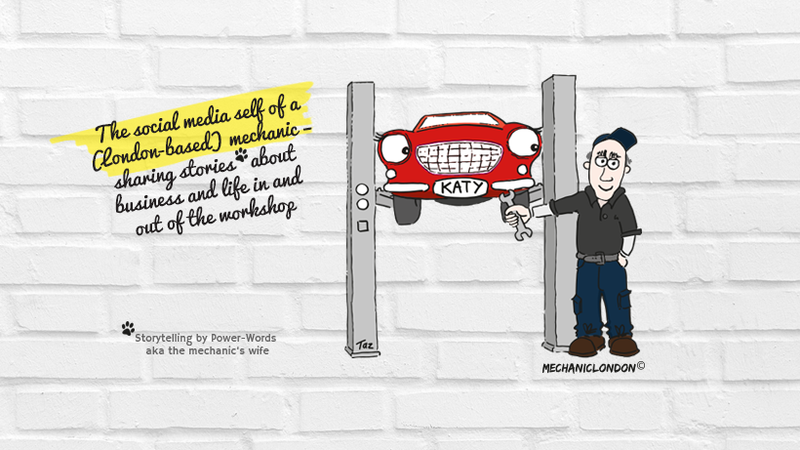 A good excuse for us to name but a few reasons why we think our small garage is beautiful. You might be greeted by a voicemail when the chief is with another customer or talking to one of the suppliers, but if you get through you will speak to a real mechanic, guaranteed. No passing on from voicemail to department to salesperson. Speaking to the chief mechanic, who’s at the same time the big boss, you’ll benefit from a much greater flexibility as to how your mechanical problems get resolved. If there’s anyone who can break the rules, it’s the boss. Similarly, over 30 years’ experience in the automotive industry and 25 years of which in the setting of his own garage, the chief mechanic has gained vast knowledge and expertise and frequently been fixing what seemed to be unrepairable. Hence serving a niche market of ‘mechanic challenges’. With the chief mechanic and big boss all in one person, you can be sure that the quality of your service is nothing but top notch. No passing on of quality assurance responsibility or blame. The buck stops here. Put personable service, greater flexibility, comprehensive expertise and tiptop quality assurance together, and you can only get one thing: trust. At Brent Autos we pride ourselves for our strong local reputation and returning customers. Last but not least we might be small, but we do play with the big boys, and have long standing partnerships with a number of big dealers , supplier and peers – be it for car parts, garage equipment, or knowledge exchange. For more information on our diagnostic and garage services, or to book your car in, please contact us today or visit our main website at www.brent-autos.co.uk. Posted on 03/04/2014 by mechaniclondon	• This entry was tagged Brent Autos (est.1989), car diagnostics, car servicing, garage services, mechancial repairs, North West London. Bookmark the permalink.